Most of the environmental pollution taking place around the world is being generated by the construction industry as well as how the buildings are being used. The impact of such pollution can be reduced by making use of steel as the building material. The impact is felt at every stage of steel use, from production, main use as well as recycling. Steel is produced in an industrial controlled environment, which leaves very minimal waste in construction. Most of the by-products from steel can be recycled such as blast furnace, gas and slag cement. The process of steel production is being enhanced through progressive innovation techniques and approaches such that the energy being emitted and utilized is permanently reduced. The production of steel is so effective such that over 80% of all steel beams are made from recycled steel (scrap) meaning that the industry does not need to keep mining iron ore and coal, the main raw materials. Scrap steel can be used to produce all standard grades steel, as the aspect of ‘downcycling’ is not applicable. The steel produced from the scrap still has sustainable elements and can be used for all high performance situations. While recycling galvanized steel, the first step is to set apart the zinc from the steel. New zinc is later produced from this recycled element. Very little raw material is used while building with steel. A building will not need any more material than necessary so that it can function as it should. The materials used are further reduced by making use of stronger steel. Steel allows for many more functions to take place even after the initial construction is finished. The building can be rearranged into various functions, relocation of interior walls is possible as well as entry points. It is also possible to merge floors as well as install stairways and lifts. The energy bill can be reduced significantly by having less volume to be cooled off. This is achieved by having low floor heights by integrating steel beams in the floor structure. Durability of steel is enhanced in the factory during production by making use of protection elements like using coating mechanisms, duplex systems which include galvanizing and coating, as well as hot sprayed aluminium. The steel being used for constructions within the building does not need protection from corrosion. It is easy to dismantle a steel building and make better use of that debris. After a few adaptations, the steel can be made use of in another structure. The recyclability of steel is so high such that 50% of structural steel is recycled while the rest is scrap steel which is then recycled to make new steel. Nothing goes to waste. 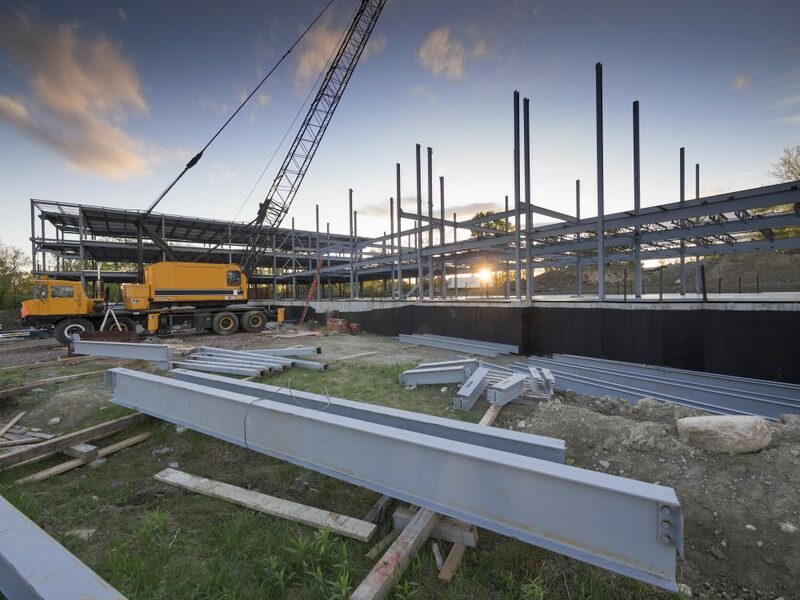 Steel is very ideal for temporary buildings due to its nature of being easily dismantled. It is easy to extend a building by having extra floors added on top. By making use of lighter steel structure, the service life of that building can be prolonged. In this process, you do not need to foundations or expensive reinforcement to the main building, which is a big cost saver.